Cleaning each room from the top down, starting upstairs. Make sure you dust and sweep surfaces, then you can hoover all the carpets and surfaces at the end as the final step. Increase your efficiency even more by turning to the right when you walk in a room and follow the walls around to make sure you don’t miss a spot. Use a clean, damp microfibre cloth for dusting. Hold the cloth up with one corner and, using a spray bottle, mist it with clean water. This should give you just enough moisture to pick up any dust without the streaky marks or unpleasant smells of polish. Water, vinegar and lemon juice are a great combination when it comes to tackling bathroom mould! Don’t forget to clean the inside of your kitchen rubbish bin- this is often where mysterious smells are hiding. If you want to make sure your house is truly clean, spring is a great time to get a professional carpet and upholstery cleaner like MetroClean in. We use the Hot Water Extraction method, or steam cleaning to get a deep clean and eradicate pesky allergens and bacteria that can become deeply lodged in furniture or trodden deep into carpets. Our truck-mounted system cleans around four times faster than some of the cheaper machines on the market, helping us provide professional services to customers in a timely fashion. 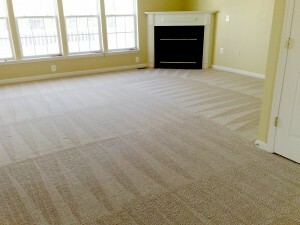 The steam cleaning technique doesn’t expose you to the chemicals that other carpet cleaning companies do. Our truck-mounted system cleans deep into the pile, completely rinsing out the cleaning solution used to remove unwanted dust, debris and bacteria from your carpets and upholstery- the perfect final step to your spring clean! If you have any questions or would like to book a free, no-obligation quote, call our dedicated service team on 0151 281 7466 today.